and collaboration in safe environments. 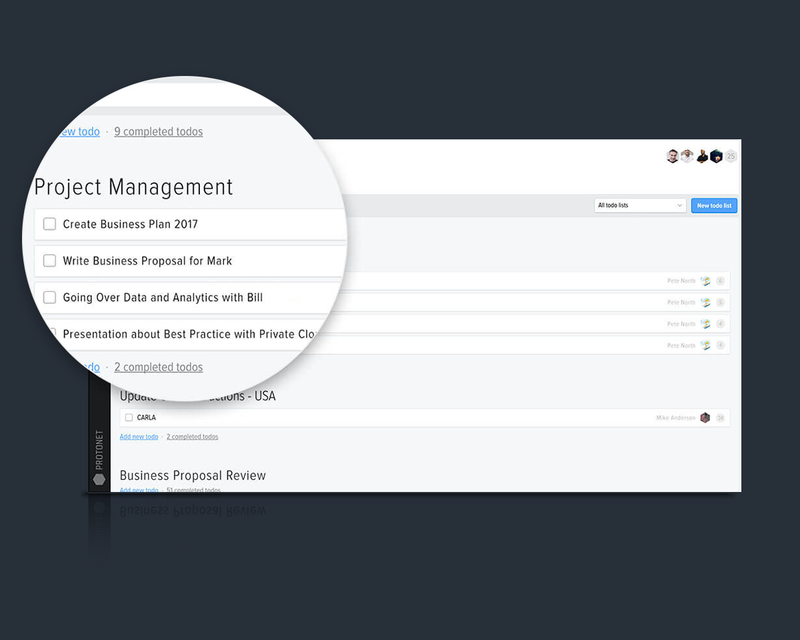 Clearly structured design for an unlimited amount of projects, discussions, search results, to-dos, appointments, notes, files, folders and dashboards. 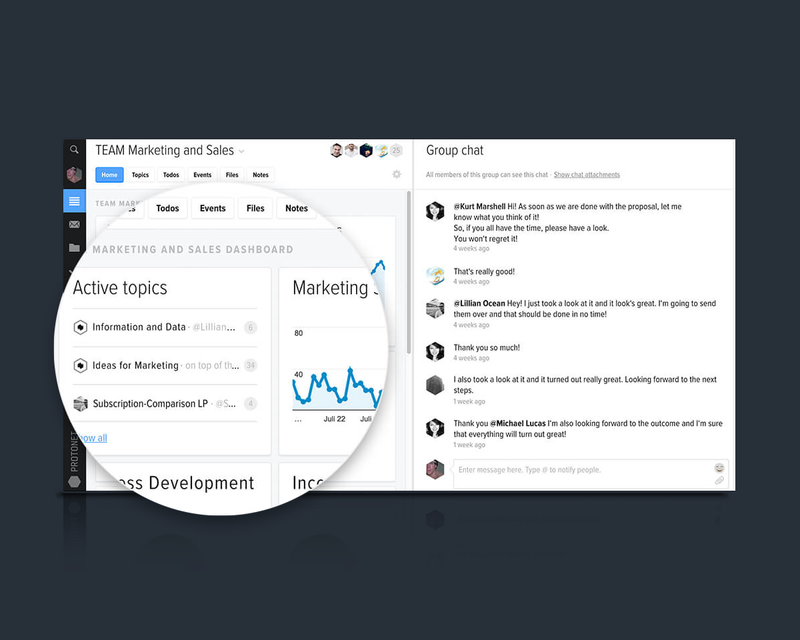 Customizable dashboards help you keep an eye on the most important tasks and events. 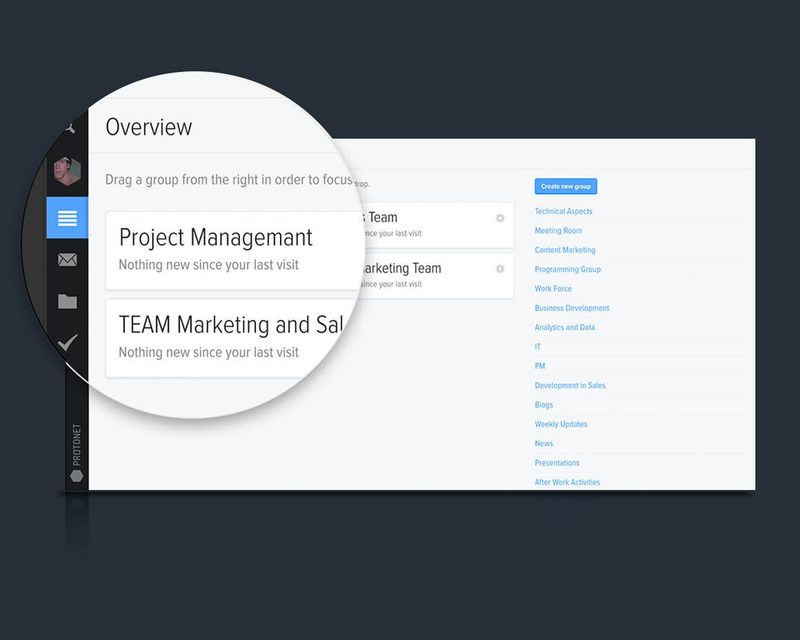 Embed to-do lists, notes, folders oder external content. Group and one-on-one chats allow for quick exchange of ideas, no matter where team members sit. Retrieve conversations at any time and keep track of every exchange. 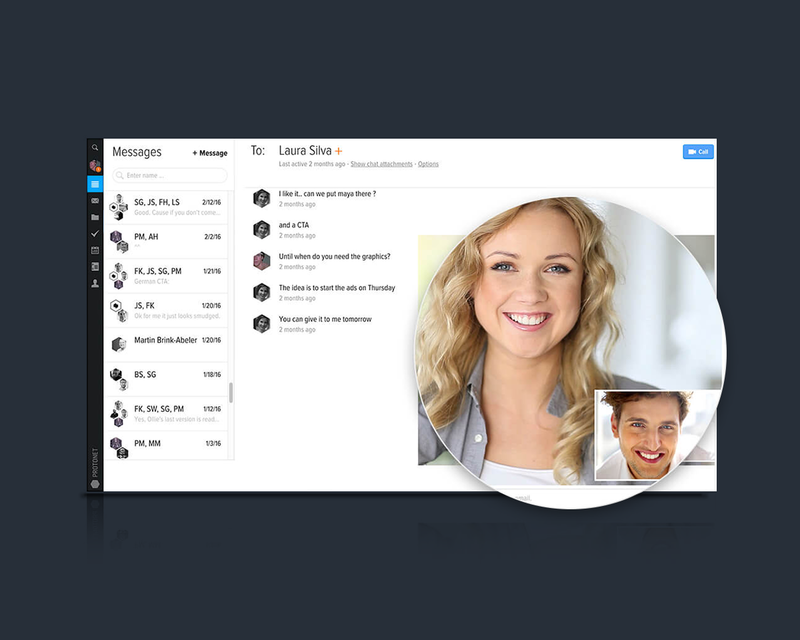 Video chats enable you and your team to collaborate in realtime. 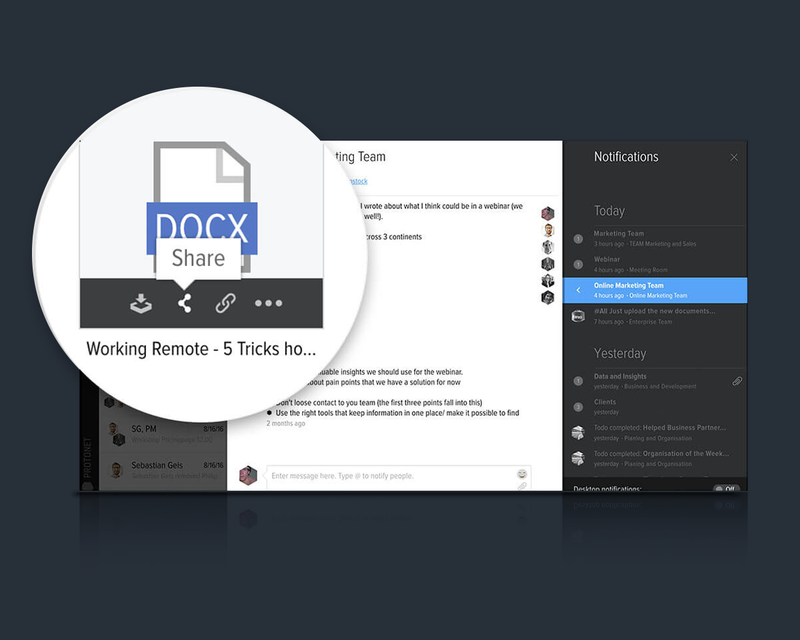 One-on-one conversations and business meetings can be started from anywhere with a click of a button. To-do lists help you stay on target with your projects. Prioritize important deliverables, manage deadlines and responsibilites and measure the completion of tasks. Data management for sharing and storing files publicly and locally – no matter how large or sensitive. 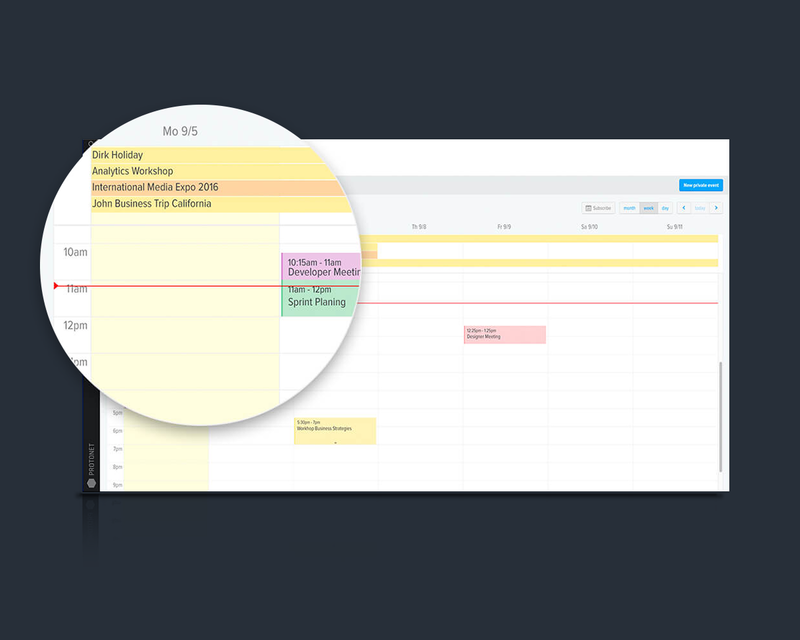 Synchronized calendars enable you to create and manage events with your team. Everyone is up-to-date. Always. Stay in touch with your team via the Protonet Messenger app for iOS® and Android®. Access your projects anytime and anywhere. Fluent communication and quick data exchange are the foundation for high efficiency. With Protonet, our project management runs smoothly. We use Protonet for training our employees. 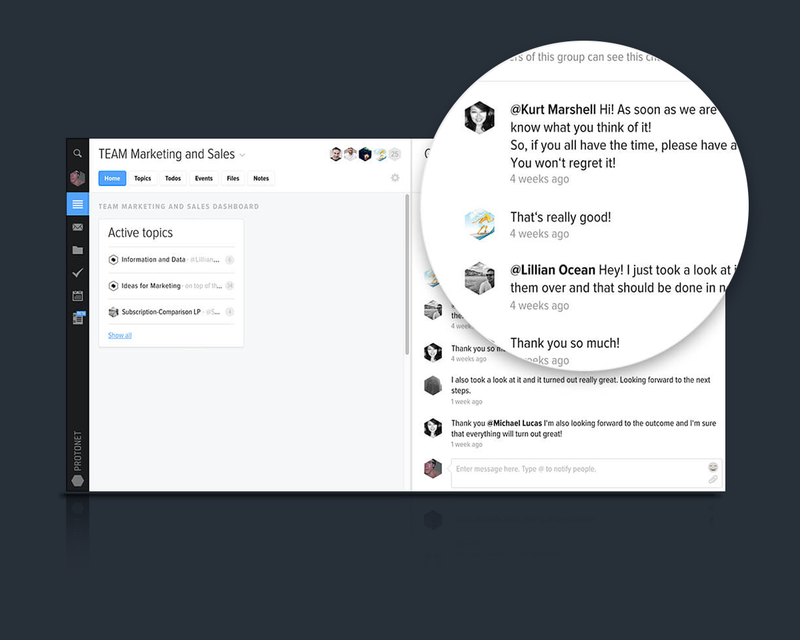 It has proved to be a valuable learning platform and onboarding tool. Awesome! Exchanging confidential data with our clients has never been so convenient. Sensitive information is kept in confidence. Our team as well as our clients are stoked about the convenience, team work and data sovereignty.